Fall may have just begun, but winter will soon be closing in! If you’re not ready to give up your outdoor time just yet, Hutcheson Horticultural Company has an idea to keep you warm during your outdoor leisure time: add an outdoor fireplace! 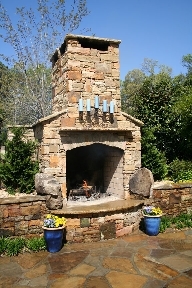 We are experts at designing and installing residential and commercial hardscapes, which include outdoor fireplaces. Let us design a gorgeous outdoor space for you to enjoy not only in the cooler seasons, but year round! You could visit your relaxing backyard escape whenever you wanted to, without leaving the comfort of your property. An outdoor fireplace is perfect for the family, yet provides a lovely ambiance for an outdoor gathering, intimate or large. The structure itself can create a stunning focal point in your green space and additional decorative elements can be added to further please the eye. 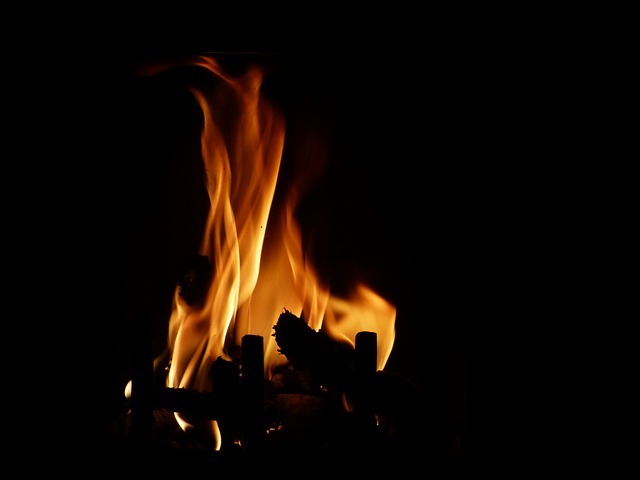 Unlike the unpredictable flames from a firepit or campfire, a fireplace is enclosed and much safer, especially if you have children who may enjoy making s’mores every now and then. Hutcheson Horticultural Co. can even install a gas powered fireplace, if you prefer to pass on a traditional wood burning fireplace. We also offer a wide variety of materials for your outdoor fireplace, plus concrete, pavers and a variety of natural stone, should you like a patio designed with your fireplace to complete the look. Does relaxing in a chair or lounger, snuggled up under a blanket in front of your new outdoor fireplace sound good? If so, please contact us to schedule an appointment with one of our landscape design professionals. You could be enjoying the warmth of your new outdoor escape before you know it!